What do you do when you're in need of attorneys with specific skills but can't find enough of them? If you're Netflix, you create the Production Legal Lab, an entry-level development program that helps lawyers gain hands-on experience at the company. What do you do when you’re in need of attorneys with specific skills but can’t find enough of them? If you’re Netflix, you create the Production Legal Lab, an entry-level development program that helps lawyers cultivate those skills and then provides them with hands-on experience at the company. Ollivierra cited fierce competition, diverse corporate cultures, and “the associated fast pace, high stakes, confidentialities and risks” of episodic series and feature film production as obstacles to entry-level positions. “There’s more work to be done,” he summarized, “than there are qualified people to do it.” So where to begin? Ollivierra said the first step entailed “a deep dive into how feature length and episodic productions evolve at Netflix,” in order to lay the foundation of the program. As that deep dive coincided with his hiring at the company, he hit the ground running. Ultimately, Ollivierra discovered several things that helped him to understand the workings at Netflix. For one, the business of Subscription Video on Demand is relatively new and requires innovation and collaboration, particularly for the scale at which Netflix is operating. “The overarching lesson I learned in my first few weeks at Netflix was that outsiders and new employees can’t possibly intuit the reasoning behind everything that this company does; this understanding and acclimation requires the application of curiosity, communication, tenacity and time,” he wrote. That level of collaboration, however, made it difficult for Ollivierra to find out who was responsible for what at every level of development and production. Netflix, he said, is “a highly innovative, collaborative and meeting-intensive work environment that values people over process and constantly pivots to improve.” In the end, over 90 professionals at the company agreed to become instructors for the Lab. 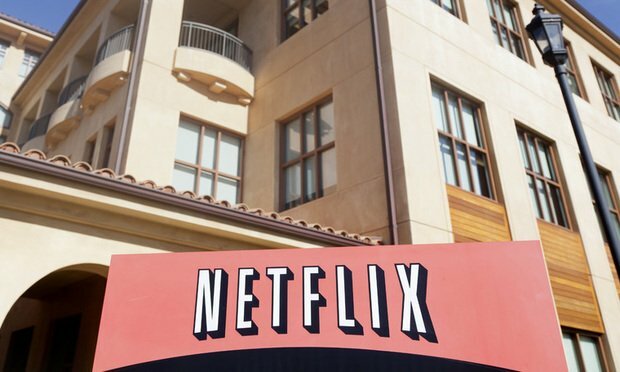 Then Netflix hired five attorneys for the program, all of whom had logged three to six years of work at large firms or well-regarded boutiques. Ollivierra said this “class” has completed its formal training and is now rotating through various teams at the company to apply what they’ve learned and increase their knowledge bases through hands-on experience. The Lab is undergoing enhancements and improvements to prepare for the next round of attorneys.